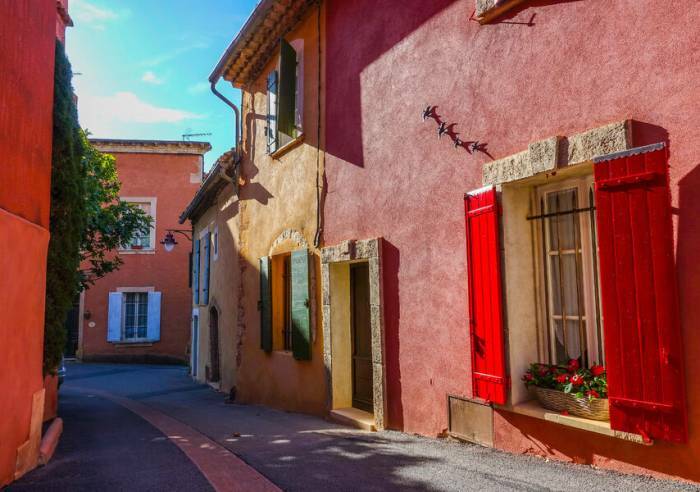 The village of Roussillon is located in the Luberon Regional Park, and is the second most visited village in the Luberon, after Gordes. 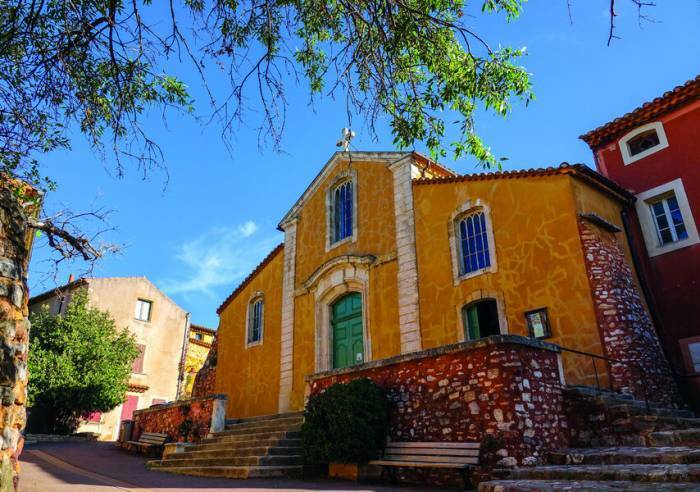 Roussillon has been ranked one of the "Most beautiful villages in France". 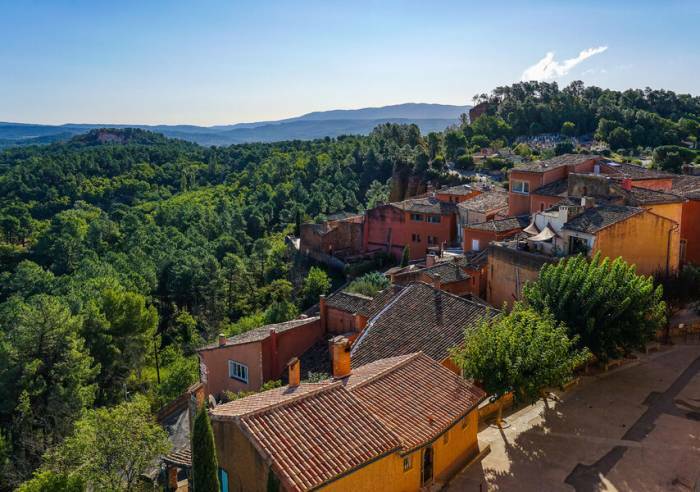 The village is built at the top of an ochre cliff, and provides visitors with a beautiful understanding of the harmonious combination of man and nature, and of ochre and stone. Harmonious juxtaposition of tiled roofs, ochre-washed façades, and green nature. 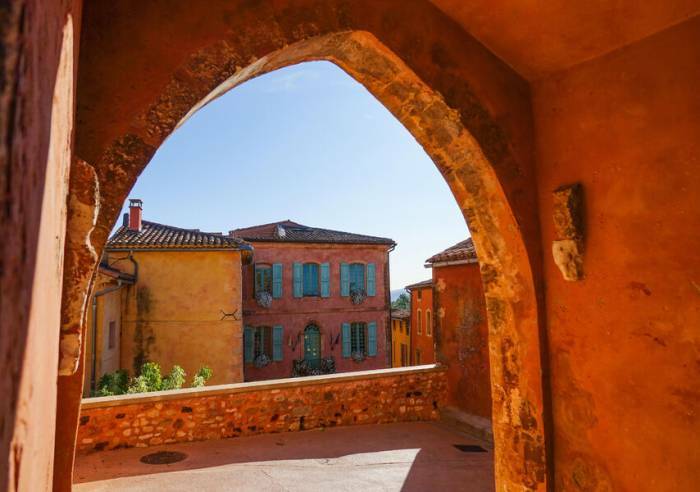 Roussillon was long specialised in the mining of the natural pigments contained in the ochre lands - and only stopped with the advent of synthetic products. 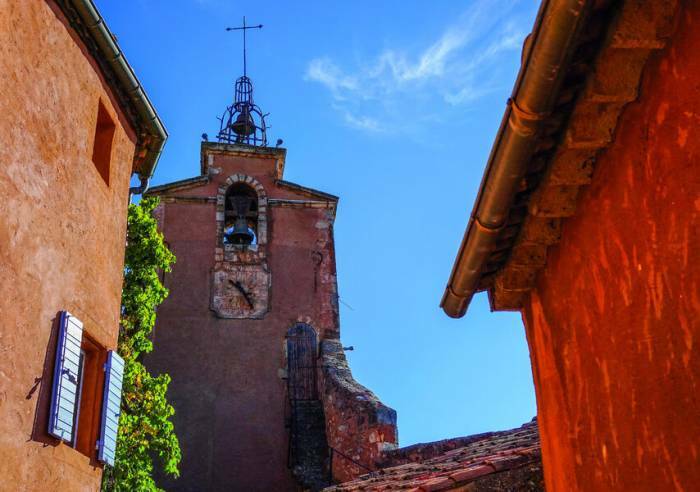 Today you can explore the history of the ochre mines by visiting the "Conservatoire des Ocres et des Couleurs" set up in a former ochre factory. Learn all about the use of ochres, and take part in classes. There is also the ochre path (fee charged) in the heart of the old ochre quarries, great for seeing the beauty of the site and the many shades of colours. 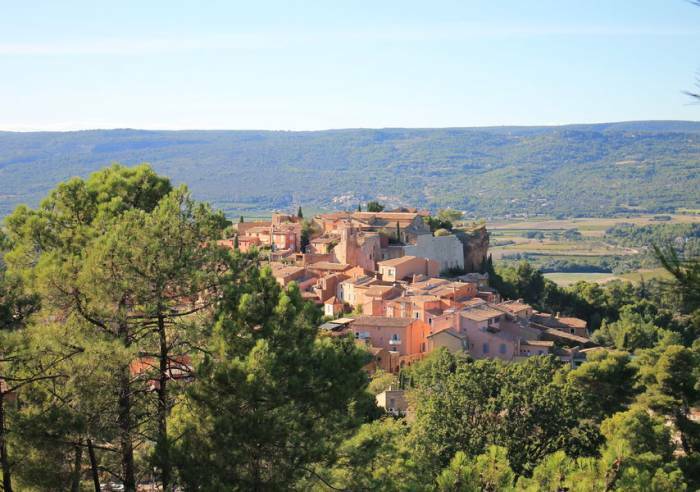 There are lots of cycling opportunities - see the itinerary in "Les Ocres à vélo" which takes you through the colourful beauty of the Luberon. Do not miss: the stairs and streets in the old village, the vaulted passageways, lovely homes from the 17th and 18th centuries, the cliff which provides fabulous views with an orientation table; the clock tower and its campanile; the vestiges of the ramparts, partially rebuilt in modern times, the remains of the 10th century castle, re-used in other constructions.